In 1964 director Jacques Demy shocked the Cannes Film Festival when he released The Umbrellas of Cherbourg, a modern day (popular) opera entirely sung and set primarily to a jazz score. Along with legendary French songwriter Michel Legrand, Demy wrote a musical soundtrack/script that was at times playful, romantic, and haunting. It was a box office and critical success, and it made its star, Catherine Deneuve, an internationally recognized movie star. It was Demy’s aim to create a new musical format, one that owed “nothing to American musical comedy and nothing to French operetta.” Yes, he found inspiration in such films as An American in Paris (1951) and Les Girls (1957), but he wanted his musicals to be uniquely Demy—a colorful fantasy world awash with whimsical musical numbers. That is exactly what he created with The Young Girls of Rochefort in 1967. Set and filmed in the French western seaside town of Rochefort (on the banks of the Charente River), The Young Girls of Rochefort centers around the artistically gifted and ambitious Garnier sisters: twins (and real-life sisters) Delphine (Deneuve) and Solange (Françoise Dorléac). Unfulfilled with their jobs of teaching ballet (Delphine) and giving music lessons (Solange), the sisters long to escape to Paris to realize their dreams. Oh, and both are looking for their dream man, too. When a fair comes to town for the weekend the sisters decide they will leave with it and make their way to Paris and, hopefully, stardom. All of Demy’s films have a thematic connection in that they somehow examine the meaning of love and separation. In The Young Girls of Rochefort these themes are examined by the search for one’s ideal love. Not only do the twins long for their ideals, but so does their mother Yvonne (Danielle Darrieux) and a number of other characters in the film. By being separated from their ideals (some of whom have already been met and others who were just missed by coincidence and/or circumstance), the film has an underlying melancholic feel to it which is sharply contrasted by the overly bright production designs and the energetic musical numbers. These are the elements that define and set apart a Demy musical from others. The musical numbers here are unlike those in The Umbrellas of Cherbourg in that no dialogue is sung and they are clearly breaks in the story. The film opens with an intricately choreographed number by Norman Maen, as a carnival sets up in the town square with Legrand’s jazz introduction playing in the background. This really sets the atmosphere for the rest of the film—clothed in bright colors the dancers effortlessly construct an entire set before our very eyes. From this scene Demy smoothly transitions to the twins overlooking apartment, where we find the girls immersed in their artistic pursuits. We are quickly introduced to them and the next thing we know they are engaged in a hilarious dancing duet about being “Les Demoiselles de Rochefort” (AKA “The Twins’ Song”). From there we are treated to countless other upbeat numbers full of pep and color. Still, there are a few melancholic songs, the most famous being “Chanson de Delphine” (although the music is set to various lyrics, based on what character is singing the song, it is after all everyone’s love song, just with a different ideal lover sung in mind). Oh, an d did I mention Gene Kelly is in the film, too? That’s right, Mr. American Musical himself is in this quirky French musical extravaganza, too. Demy waited two years to make The Young Girls of Rochefort because Kelly was engaged with other projects. He plays an American composer destined to meet and fall in love with Solange. He may have been 55 when he made the film, but he was clearly in peak shape and performs two of the best numbers in the movie. “Andy in Love” finds Kelly exuberantly dancing through the streets of Rochefort after having met his true love: Solange. Each person he meets along the way he engages in a small, separate dance—he even jumps atop a car (not so bad for 55, huh?). Of course, the most beautifully fluid dance is the one he does with Dorléac near the end of the film. Balletic and romantic, it takes my breath away every time I see it. Still, after watching these musical numbers you might be a tad confused by the voice of Andy—it was dubbed. This is strange because Kelly spoke and sung fluent French, but Demy chose to use someone else’s voice. While The Young Girls of Rochefort may not be as wonderful as The Umbrellas of Cherbourg, it is still a highly enjoyable (and colorful) musical. The songs are bubbly and the dance sequences are brilliantly choreographed. In addition, the film has a rather poignant note for two reasons. One, Françoise Dorléac died in a car crash just prior to the film’s premiere, and so it is nice to see her working so happily alongside her real-life sister Catherine Deneuve. Second, this is the last good film Kelly danced in (Xanadu was crap). For those of you who call yourselves Gene Kelly fans but haven’t seen this you should be ashamed. Yes, it’s in French, but it is also the last time you truly get to see Kelly show off his extraordinary gifts as a dancer. In the words of Shakespeare (sort of): Get thee to Netflix! Excellent review, Kim! It has been a long, long time since I saw this delightful film, but now I am longing to see it again. Hmmmmm.. must have been something I read! Thanks, FC. It is such a fun film. This film is a delight and it is such a treat to see Catherine Deneuve and Francoise Dorleac together on the screen. Lucky Francoise, to dance with Gene Kelly on film during her short life. Still, I always found it odd that Dorleac's Solange dances with Kelly instead of Deneuve--her Delphine was the ballerina in the movie. Haven't seen it but I will look for it. I really enjoyed your review and because I like "Umbrellas" so much, this will make a nice companion piece. Thanks for the recommendation! CFB: it's good, but still not as good as Umbrellas. It is a nice companion piece, though. Kim, your excellent post (and lovely photos) really make me want to see this. I didn't expect to like "The Umbrellas of Cherbourg" but absolutely loved it. I don't know why I've avoided this one--maybe because I feared it wouldn't live up to that wonderful movie. But your thoughtful writing on this colorful film has really aroused my curiosity. 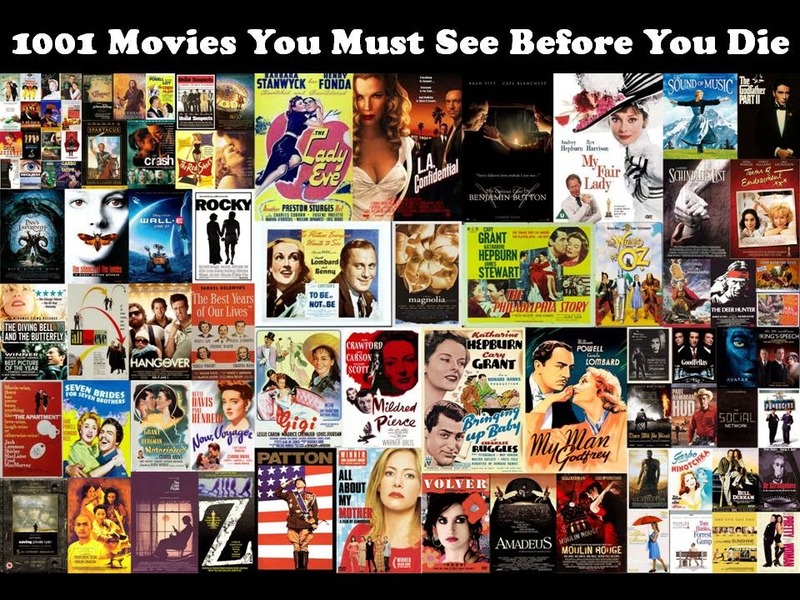 I suspect it would have extra appeal to those who are especially into musical films, which I am! I have seen Francoise Dorleac in a couple of movies and liked her very much, and of course Deneuve is in my actresses' pantheon. I liked your points about Demy's films often dealing with love and separation, and also about the contrast between the film's melancholic undertone and its bright decor and photography. I'll be watching it very soon. Those odd French musicals have a way of sneaking up on you and making you thoroughly enjoy them. 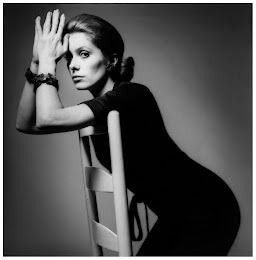 Ah, and Ms. Deneuve should be in everyone's pantheon. Hi Kim! Sorry it took so long to get started on the reviews. Ya know. as someone who isn't a fan of musicals I actually didn't mind this film. Although I missed the ending. Other than the obvious interesting pairing I couldn't put my finger on what exactly made it a cut above. You've pointed out those reasons here. Derny's inspiration and wanting to get away from the same tired over bloated musicals that were filmed entirely on a soundstage. Filming in an appealing location and avoiding the singing of dialogue which turns me off. It all works and comes together perfectly. You mention that Derny waited two years to direct this project which says he was passionate about it and it certainly shows. Thanks for giving us another informative and fun review. Kim! I really enjoyed it.